Despite being one of the major cities in Isann (Northeastern Thailand), Ubon Ratchathani doesn’t get enough credit for its sheer beauty. Loaded with hidden natural gems, the city remains largely unexplored, which makes it a perfect spot fo looking for those lookng for a unique off-the-beaten-path destination. for your holiday. 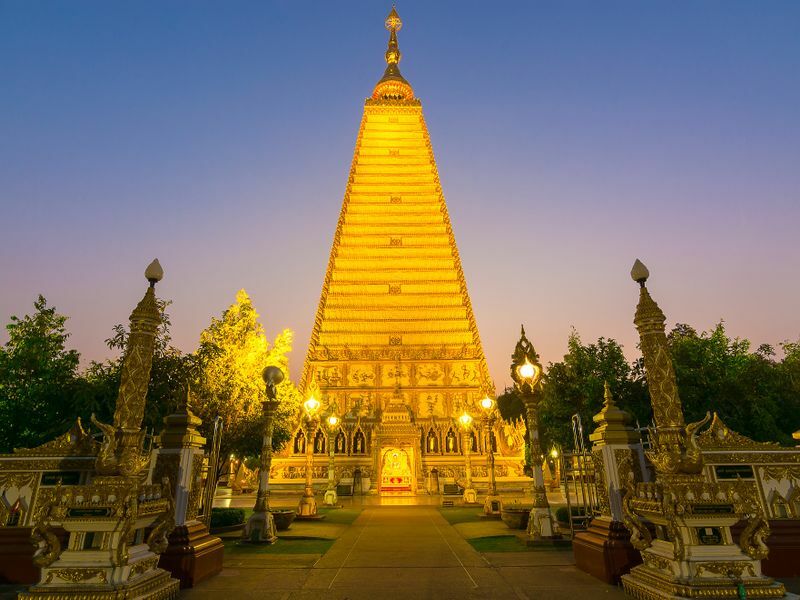 Located along the Mekong River and bordering with Laos, Ubon Ratchathani radiates a very pleasant kind of eccentricity that eve words struggle to describe. 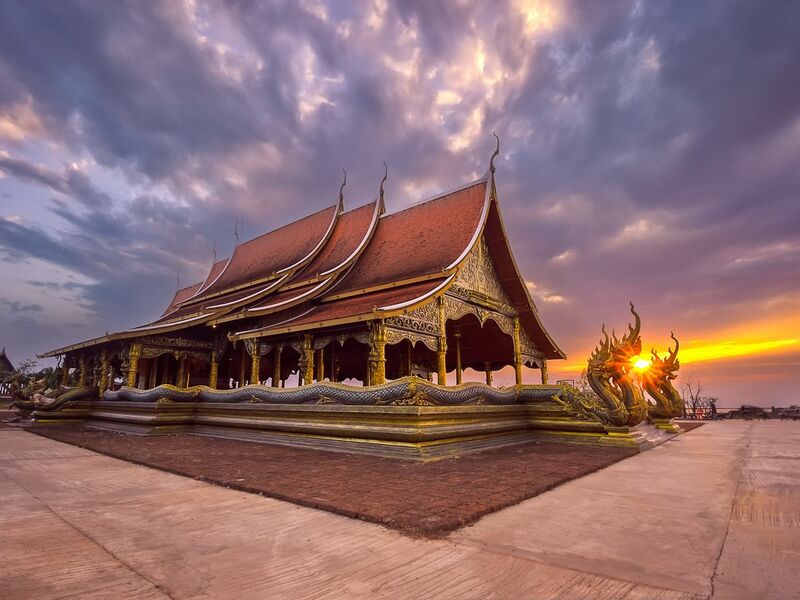 It’s hard to imagine ever running out of things to do in Ubon Ratchathani, so check out these top places to visit in Ubon Ratchathani, Thailand! 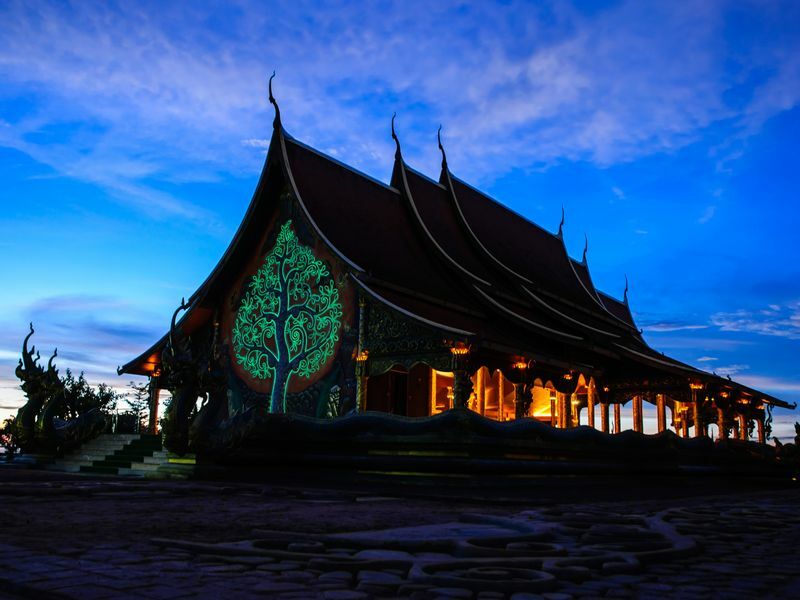 Literally translated as "The Glowing Temple", Wat Sirindhorn Wanaram Phu Prao or simply Wat Phu Prao boasts its luminous Tree of Life fastidiously carved on the back gate of its chapel. The one-of-a-kind carving absorbs daylight during the day and gives off the mesmerizing glow at night. While the best time to see the illuminated tree would be from 6 to 8 pm, the architectural gem of a temple itself is also worth visiting during the day. 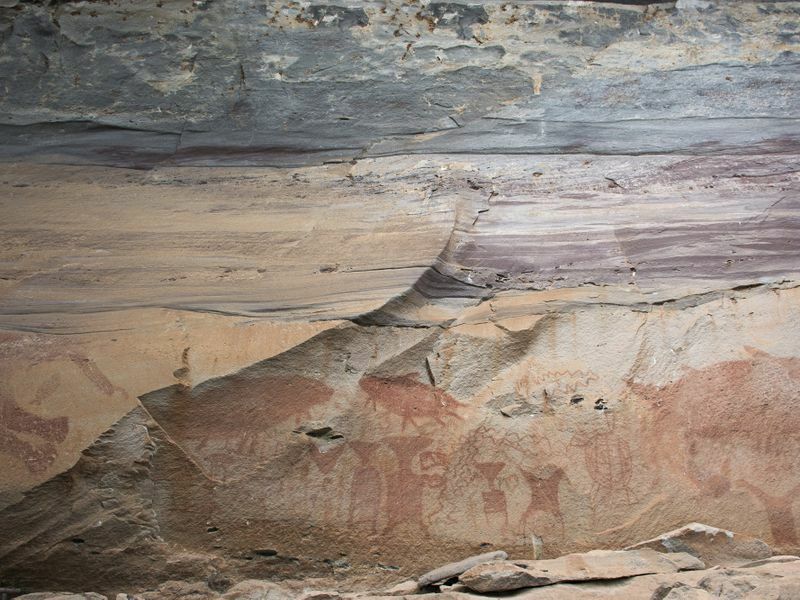 Pha Taem National Park is home to the renowned red ancient cave paintings made of quartz and hematite. They date back to more than 3 millennia and depict human hands and animals, including the ancient aquatic animals such as turtles and Mekong giant catfish. These paintings are among the most important in Thailand and will surely take you on a momentary time machine. If you want to be the first out of anyone to see the sunrise in Thailand, this place is for you! People in this area greet the new day before anyone else. 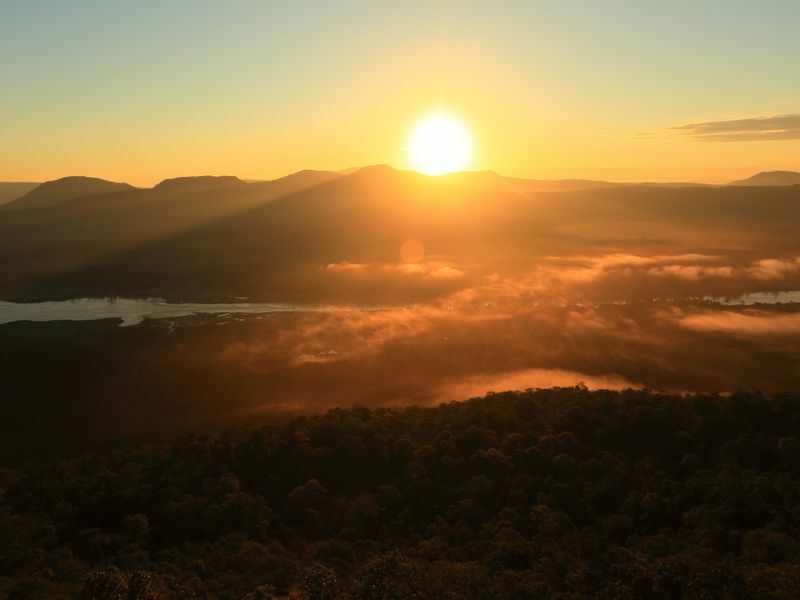 Located in Pha Taem National Park, Pha Chanadai overlooks the vast sea of mist. After the mist clears up, you can see the forests and the Mekong River in neighboring Laos. It's really one of the best if not the best way to welcome a new day! 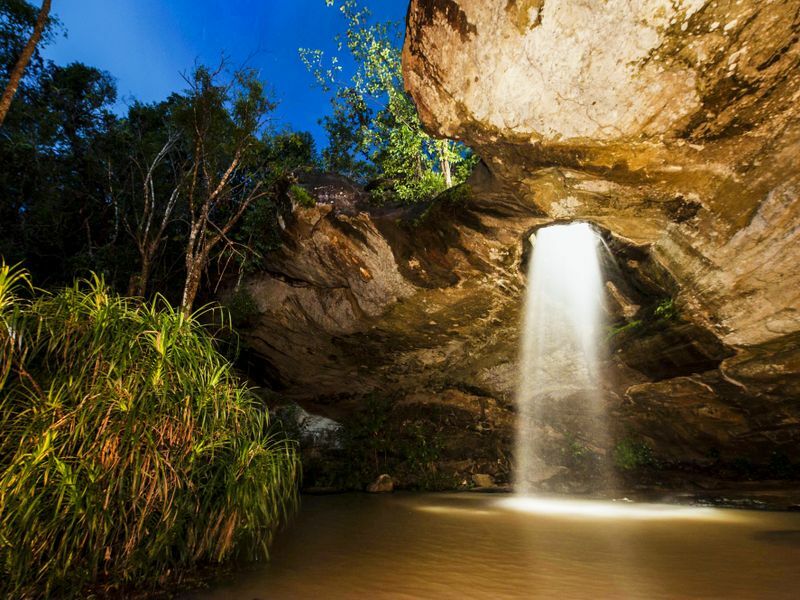 "Moonlight Waterfall", the literal translation of this waterfall perfectly describe its otherworldly features. The streams fall through a hole on the rock. The hole also looks like a full moon, especially on a full moon night when the light shines right through the hole, casting an ethereal gleam on the water surface. Who would've thought that Thailand had sand dunes? 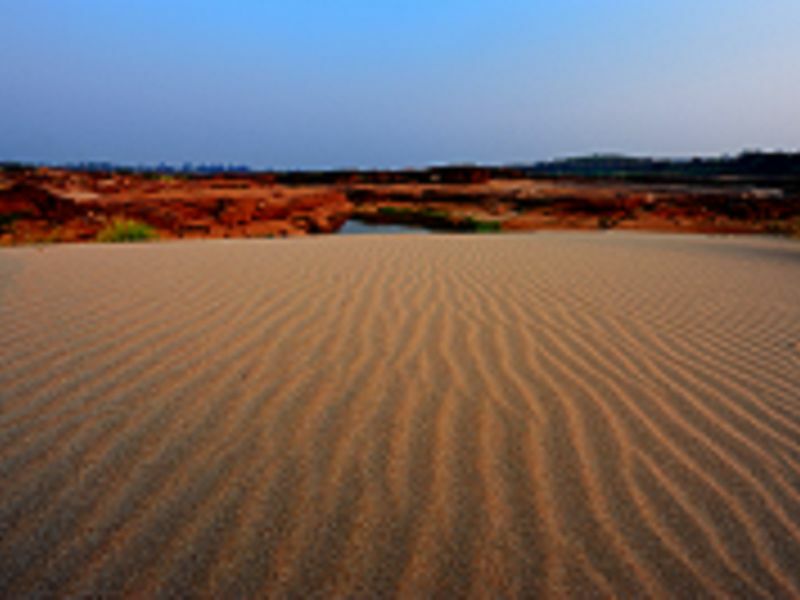 Don’t miss the desert-like sand dunes near the Mekong. Do give it a visit on your boat trip and admire at the sun slowly setting behind the golden sand dunes. Literally translated to three thousand holes in Thai, this extensive landscape hosts the countless holes with the most interesting shapes and sizes. From stars, hearts, to your own interpretations, they have all graced Sam Phan Bok's intriguing grounds. 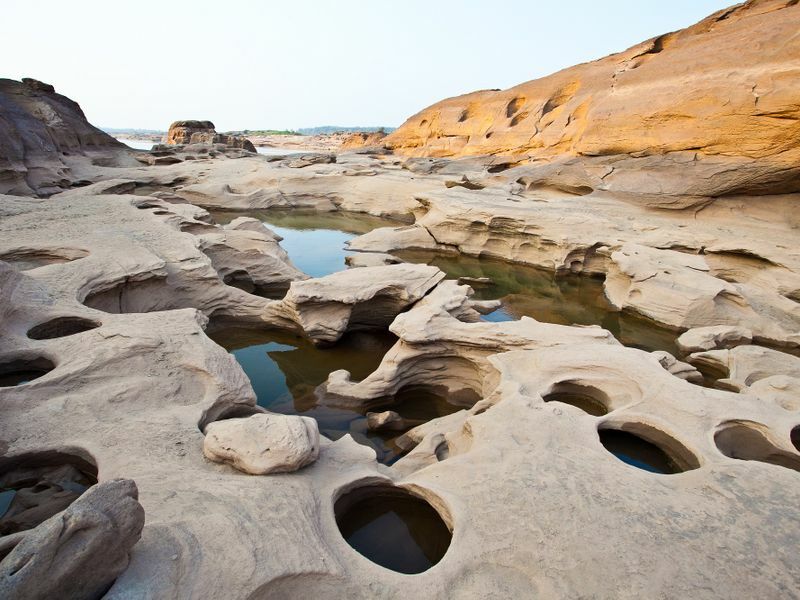 These unique-looking holes scatter more than 5 kilometers along Mekong River banks, so do give it a visit on your Mekong River boat trip! Not exactly what you're looking for? Check out our private 1-day tours with Local Experts in other Northeastern cities.